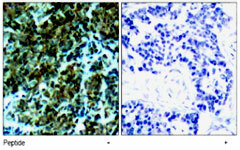 Immunohistochemical analysis of paraffin-embedded human breast carcinoma tissue, using Ctdp1 polyclonal antibody ( Cat # PAB5879 ). CTDP1 monoclonal antibody (M04), clone 3G4. Western Blot analysis of CTDP1 expression in HepG2(Cat # L019V1 ). 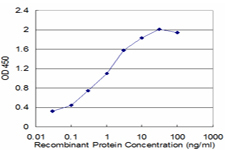 Detection limit for recombinant GST tagged CTDP1 is approximately 0.03ng/ml as a capture antibody. 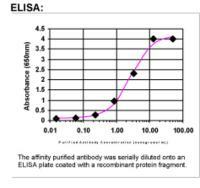 Western blot analysis of CTDP1 Antibody (N-term) (AP17253PU-N) in 293 cell line lysates (35 µg/lane). CTDP1 (arrow) was detected using the purified Pab.